Planting trees is a spiritual activity, it seems to me. Active faith that the thing will grow, fervent hope that it will survive disease and drought and decay, sacrificial love that envisions generations who will benefit from its shade. Just as a tree lives its life from the inside out, we tree-planters must do the same. If we stay huddled safely in our own small circle of concerns, the ring we’re in is, well, the only thing there is. The older I get, the more urgently I want to experience continued growth. Time’s a wasting, as Johnny and June used to croon. We must live our lives from the inside out. Mature outside the ring of self. 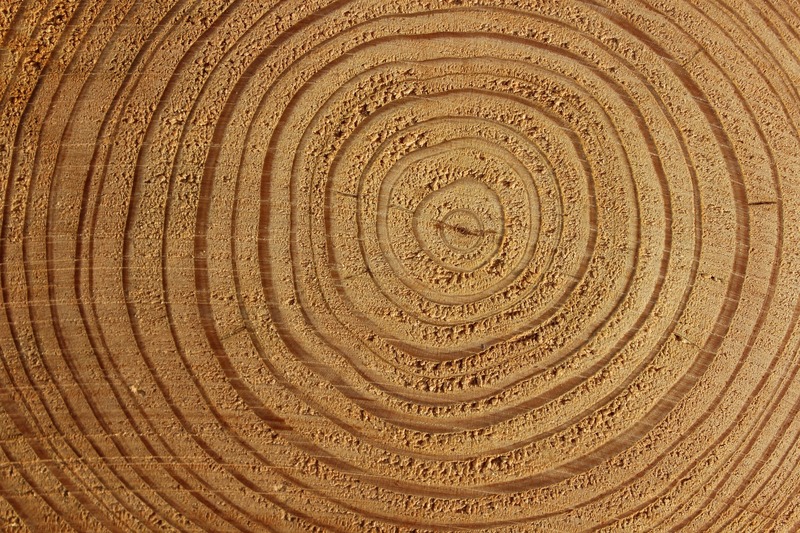 Gain a few new rings in the dwindling forest of years that remain. The inner ring: the Family Circle. Jordan and I are catching a pre-dawn skybird this coming Friday to visit Ben, Amber and Libby in New Jersey. Word has come of an exciting new AF post (their news to tell) and we need to get to them while the gettin’s good. 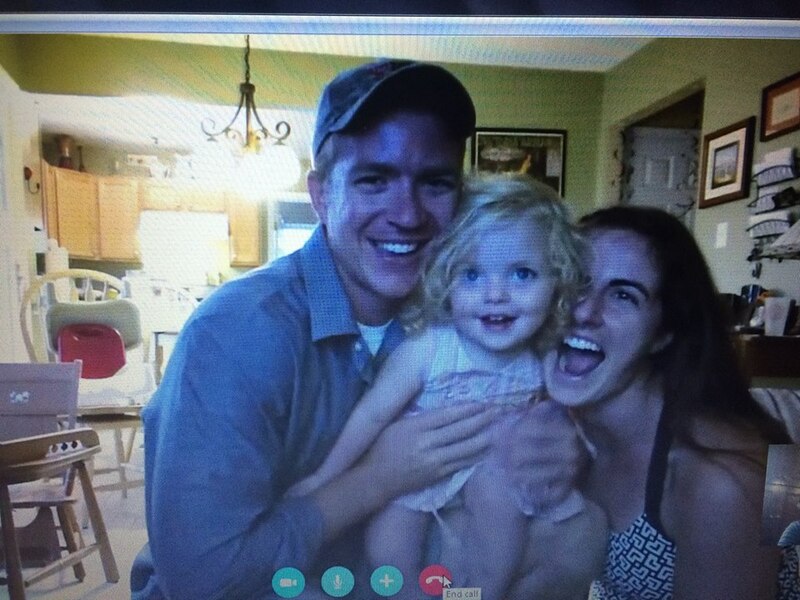 Skype’s a poor substitute for hugging that babydoll and her mama and daddy around their necks. The next ring: the Local Church. You can’t feed the soul and pitchfork the body into heaven, as Amy Carmichael used to say. There are lots of kinds of hunger. Mom and I are preparing a meal for the Alpha participants who meet at our church. Fun things, too – our annual Chilly Chili night for women is coming up on the 13th. Get a bunch of diverse women together around steaming crockpots and who knows what good may come of it? I’m also creating my square for the “Women of FBC” quilt. 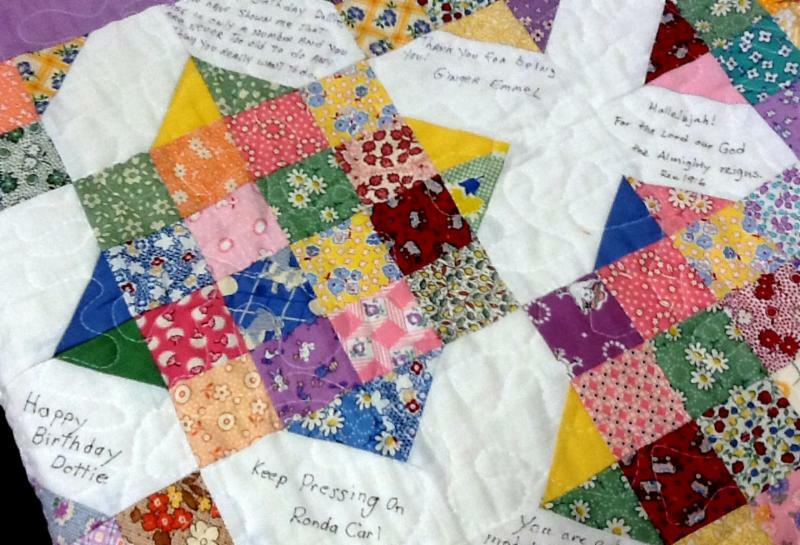 Who was it who said that women make quilts colorful to keep their hearts from breaking, and they make them warm to keep from freezing? There’s still prairie soil under all these Midwestern suburban boxes, after all. Determined and resilient, women have stories to tell. Another ring: National Ministry. The prairie’s not just fly-over country. We are connected to the lives and needs of women stretching to both oceans and beyond. I’m excited about serving on the regional leadership team for the 2016 IF: Gathering simulcast. 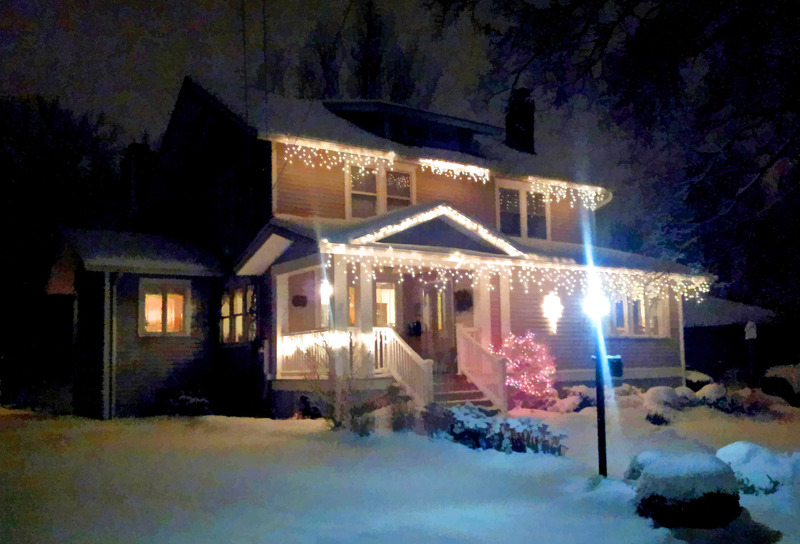 The outer ring: planning a December Christmas House Walk to benefit World Relief’s work with refugees. The Holy Family were refugees once. I think about that. A lot. New Discovery: I am crazy about French macarons, those vibrantly colored and flavored meringue cookies with crisp shells and creamy centers. Super expensive at the local patisserie, but Trader Joe’s has them in the freezer case. A full dozen for under $5? Yes, please! Tuesdays with Maggie returns this week. It’s been a while but I have a story or two for you. Come back to visit, please. And that’s what I’m into this month. How about you? By the way, if you would like to “follow” my site, just complete this, and my posts will come to your inbox. 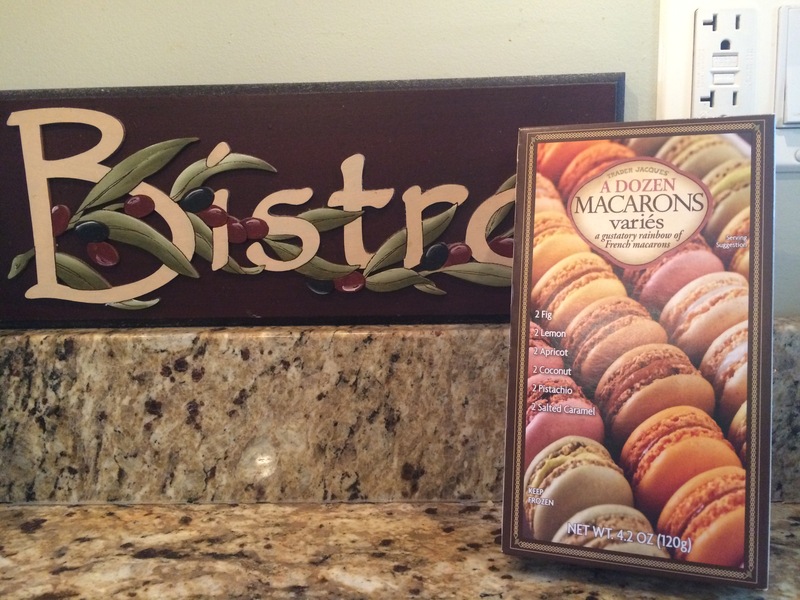 I wish I’d known about the macarons;i would have picked some up today when I was at TJ’s with Libby! Amber and Libby!! What fun it will be! Look forward to your news every week. Pat, as I get older I am speeding up – so much to do, so little time! 🙂 Thank you for your thoughtful card to MIke – that meant so much. You are amazing at remembering special days. Much love to you dear friend! Sounds like a Marathon of very rewarding events. I can’t handle that many but could you and Mike make it to dinner at Culver’s at 5:30 next Tuesday 11/10/15? Mary and I would love to spend some time enjoying your company, our treat. We love Culver’s too. Bev, that works for me. I’ll check with MIke and let you know for sure! 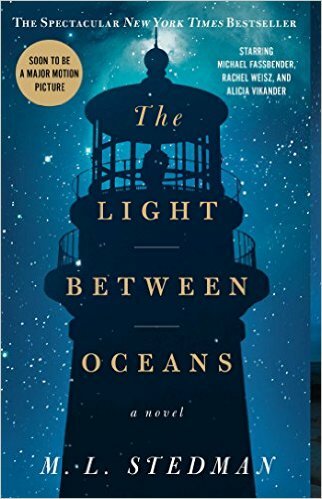 Okay, you sold me…another title for my already monumental TBR pile–but it seems I really shouldn’t miss The Light Between Oceans. And am very happy for the tip on macarons at TJ’s! My daughter loves them, but I don’t much love paying $2 a pop at our local bakery. But $5 for a dozen? Now we’re talking. I can get into that. And about The LIght Between Oceans? I don’t know how I missed it when it released, but I would put it in the top five novels I’ve ever read. Guaranteed to make you cry, but marvelous themes of forgiveness and redemption (not a “Christian novel” but certainly a theistic worldview where the characters wrestle with moral choices and divine sovereignty.) I finished it and promptly reread the last two chapters and cried again. Love it – great post, Maggie! I love your “What I’m Into” and thank you for sharing such good stuff. Have a wonderful trip to see that grandgirl!